Case studies are a great way of making use if long testimonials, or particularly powerful success stories. But how do you get your audience to read them? Who's really interested in reading about someone else's great outcome? 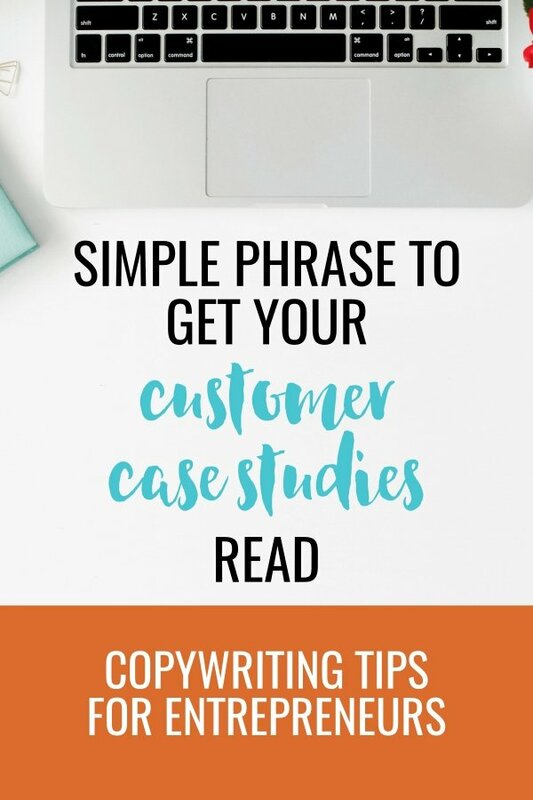 This simple phrase connects the reader to the case study - and it's not even my idea. I totally stole this from one of my VIPs. A little while ago she sent me through some copy to look at that was going into some marketing emails that are part of a sequence. The prospect had answered a quiz and then they got the results in the email. The email was tailored according to the results they got. And then after summarizing their results, there was this brilliantly simple transition - a line that just said: “This reminds me of a time when…” And then she transitioned into a case study about someone who had had similar problems and how she'd been able to help them. 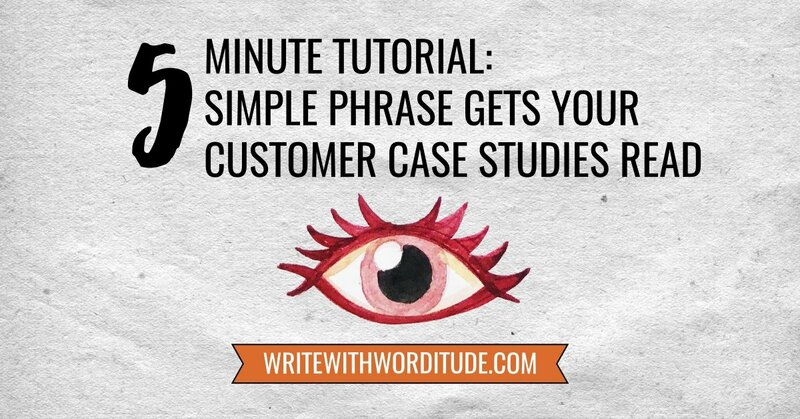 It can feel a bit awkward trying to get people to read your case study. You can't just slap it down on a Facebook post and say, ‘I did a really great job for this person. Read about it in this case study.' Nobody wants to read about a great outcome somebody else had. And so this line that she'd written, “this reminds me of the time when…” to transition to the case study, is genius. And you could use it not just in emails but also on social media. Talk about how you understand the difficulty the customer is in now, the pain they're experiencing now, the problem they've got now… And then instead of saying, ‘and I can help you in this way', which is kind of theoretical, like you're making a promise, but you've not necessarily got anything to back it up. It's just a theory. In theory I can help you in this way. Instead of making that theoretical promise you could go from recognizing and resonating with the difficulty of the problems they've got now and do a transition that says, ‘this reminds me of this person that I helped out and I helped them in this way‘ and give them a condensed version of the case study.